In 1964, Sister Maureen was assigned to Taiwan and studied both Taiwanese and Mandarin. She ministered in a hostel for college women and taught English in two colleges. With the many needs of young workers, she spent twelve years ministering to factory workers. Encouraged by the Taiwanese church, Sister Maureen and another Sister had a “Neighborhood Ministry,” for more than twenty years in three towns. Their neighbors were Taoist, Buddhist and believers in Folk Religions. The Sisters were on the street a lot meeting people, chatting in the market, and celebrating family events. For those interested, they conducted scripture classes. They learned how people got in touch with God in the temples, with their home shrines. Some became lasting friends. Six neighbors were baptized in one place. 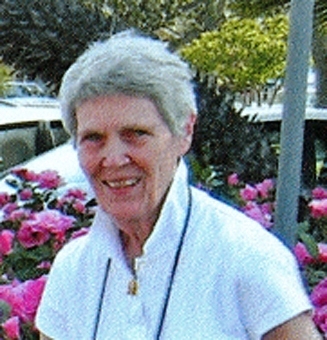 Remembering all her years in mission, Sister Maureen says, “My deepest feelings are of love and gratitude to God who has done everything.” In 2008 she was assigned to the Maryknoll Sisters House in Monrovia, CA.